The medical term for a head rush is orthostatic hypotension. This term describes a sudden drop in blood pressure due to standing up quickly, which can happen often in fast-paced vinyasa classes where you are doing a lot of sun salutations. 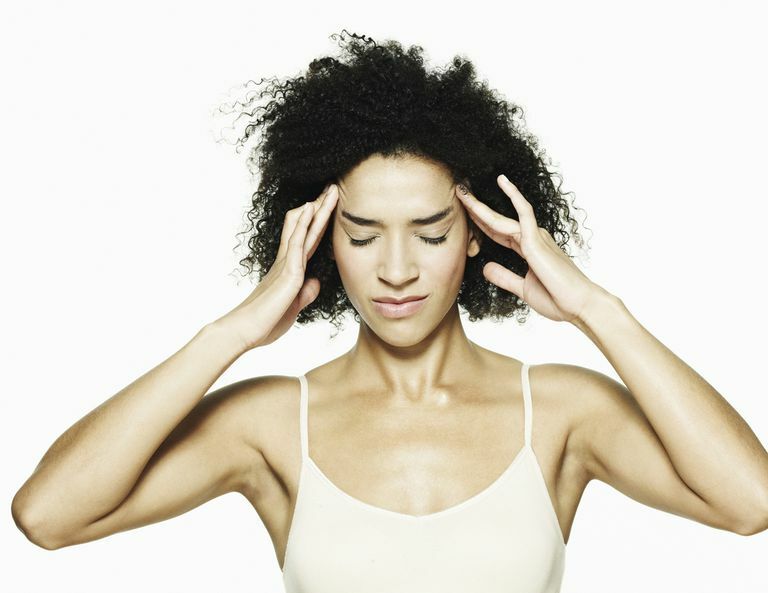 Symptoms are temporary and commonly include dizziness, blurred vision, and dimmed hearing. Occasionally, head rushes can be symptomatic of a more serious condition and may warrant a trip to the doctor if they are persistent or cause fainting. However, most of the time their effects can be handled with a few behavioral modifications. Make sure you are drinking enough water throughout the day, especially when you are planning on exercising. Dehydration can sneak up on you and contribute to uncomfortable conditions like head rushes and cramps. If you know you are prone to head rushes, try rising to standing positions more slowly to give your blood pressure time to equalize, particularly if your head had been hanging down for a while, as in a prolonged forward bend. This may make you feel conspicuous in a flow class, but yoga is all about listening to your body first, so your teacher should be ok with everyone going at their own pace. You should definitely explain what you're up to if it happens a lot. If you find yourself getting a head rush, sometimes just bowing your head and tucking your chin toward your chest in a jalandhara bandha position can avert your lightheadedness. If this doesn't work, you can also forward bend into ardha uttanasana until the moment has passed.